Tribal leaders set the tone, hold the vision, pass the laws, and empower the systems that protect American Indian and Alaska Native children. There is no aspect of sovereignty more important or more demanding than the protection and well-being of Native children. 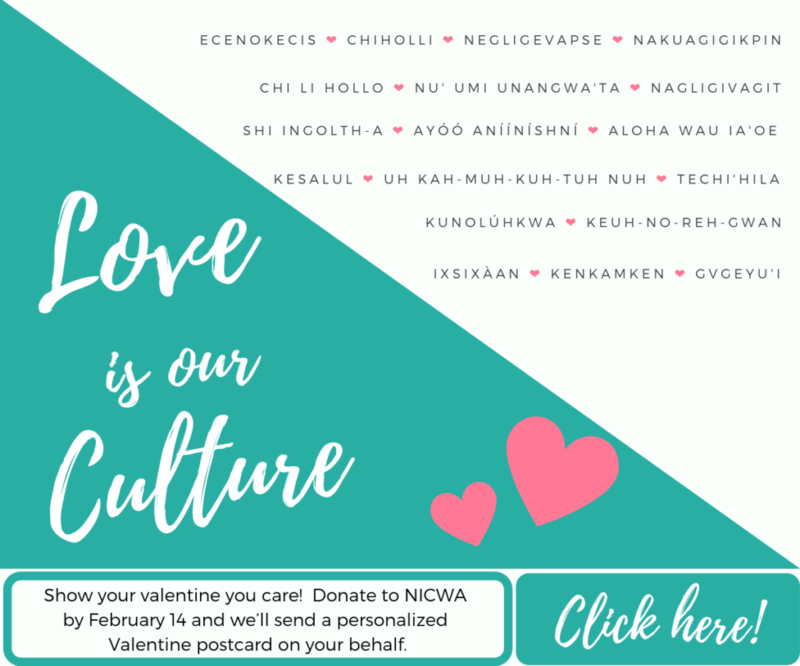 NICWA has a long history of partnering with, and supporting, tribal leaders who take on the difficult task of creating policies and systems that best empower Native families to be healthy, safe, and spiritually strong. We actively support tribal leaders in their role as advocates for their community’s children and families, whether that happens within the tribal community or in relationship with state and federal governments. NICWA understands the critical role and responsibilities that tribal leaders have for their children and works to ensure that tribal leaders have information that can support them as they guide program development, advocate for policy changes, and evaluate program performance. 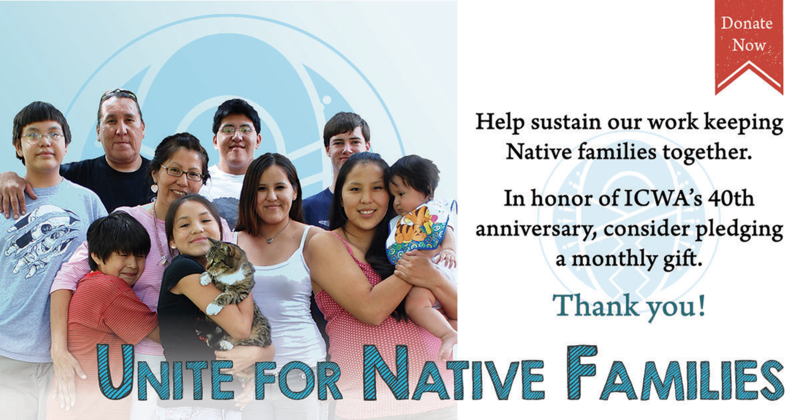 Each year, NICWA partners with organizations such as the National Congress of American Indians, Affiliated Tribes of Northwest Indians, and United South and Eastern Tribes to ensure tribal leaders are kept apprised of the most recent developments in tribal child welfare policy. More importantly, NICWA uses these valuable convenings to brief tribal leaders on the impacts that policy, practice, media, or other developments will have on tribal communities, as well as help them develop effective solutions and advocacy strategies. The publication (and web posting) of the most recent edition of our Child and Family Policy Update coincides with in-person tribal leader engagement. A synopsis of key human services policy developments occurring in Congress, federal agencies, and the courts, the bulletin is regularly updated and made available online and at tribal leader convenings throughout the year. NICWA has developed the guide Effective Leadership for Tribal Child Welfare to provide some basic information for tribal leaders on the role of tribal leadership in tribal child welfare systems and how to establish effective tribal governance in child welfare. The guide provides information on the history of child welfare efforts in Indian Country, the exercise of tribal sovereignty in child welfare, primary features of the Indian Child Welfare Act, key concepts in establishing an effective tribal child welfare program, and opportunities for tribal leader advocacy in child welfare. 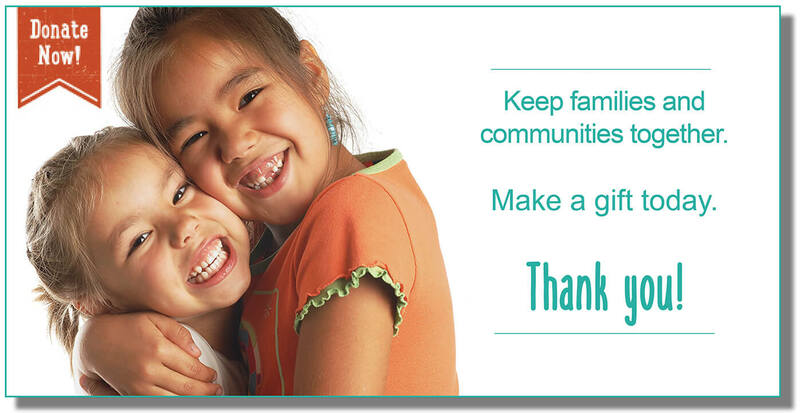 A major part of the work of First Kids 1st – Every Child is Sacred Initiative is working to strengthen equitable and local supports for vulnerable Native children in their communities. This starts with our tribal leaders. We are excited to share a new collection of resources within a Tribal Leadership Series: Youth Engagement, ICWA Advocacy, and Funding Child Welfare Services. Youth Engagement: Tribal leaders are looked to by community members to set the tone and expectations on how community issues and tribal programs should be managed. Help develop a community of strong, healthy people and leaders for our future by learning the importance of youth engagement and how you can implement varying levels in different policies and initiatives. Included is a list of tools for youth engagement like youth forums, youth-led research, and community asset mapping. ICWA Advocacy: The Indian Child Welfare Act (ICWA) provides American Indian and Alaska Native children and families with some of the most valuable federal protections available to any group of children. Learn more about ICWA and how to improve ICWA advocacy for your tribal member children and families. In addition, this guide discusses the role of tribal leaders in national advocacy efforts with provided resources. Funding Child Welfare Services: Child welfare funding has changed significantly over the last several decades. Discover how to think about funding tribal child welfare program services in a way that matches community values while leveraging available funding from tribal, federal, and state sources. The guide discusses how to make good decisions regarding the use of funding sources based upon the match between community values, desired outcomes, and program capacity. 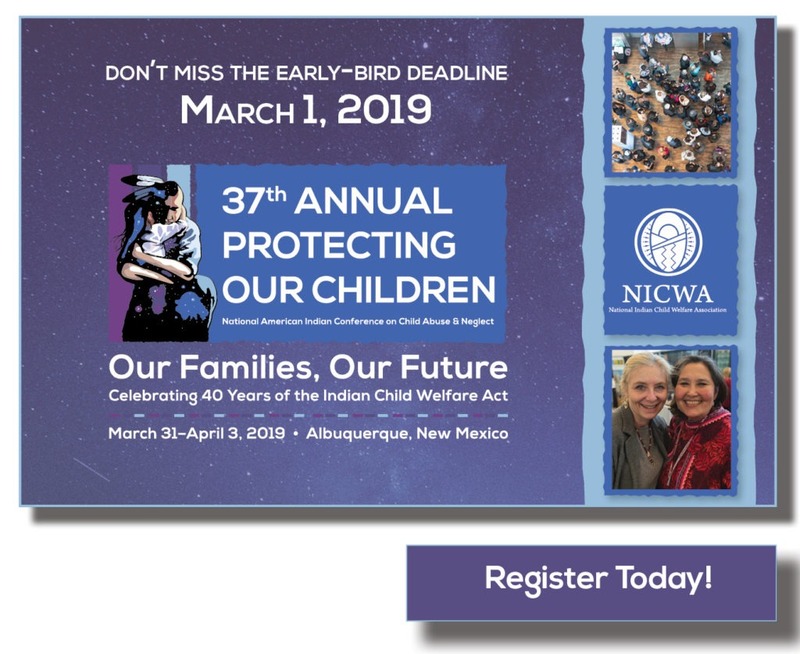 Every year, NICWA makes a concerted effort to reach out to tribal leaders with an invitation to attend our annual Protecting Our Children conference. NICWA is also available to tribal leaders for on-site training and technical assistance opportunities should a tribal leader wish to tailor a training to their community or to address a community-specific issue. NICWA supports tribal leaders as a technical advisor to the U.S. Department of Health and Human Services Secretary’s Tribal Advisory Committee.